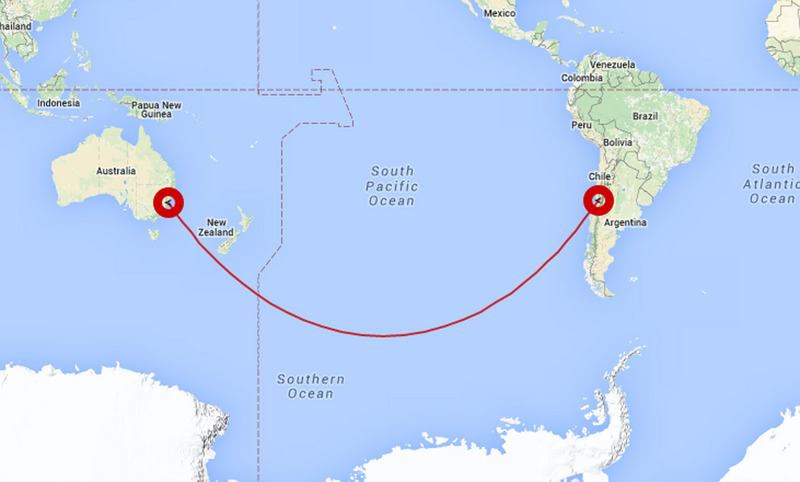 Probably the easiest way to get from Sydney to South America is flying direct from Sydney to Santiago in Chile with Australia’s national carrier – QANTAS. This route is also a fantastic addition to any round the world ticket featuring the one world alliance and in fact can make a different way to get to Europe rather than the traditional route via Asia. Santiago airport is the gateway to many South American countries and often the fastest route to cities such as Buenos Aires, Argentina as well as Lima, Peru. 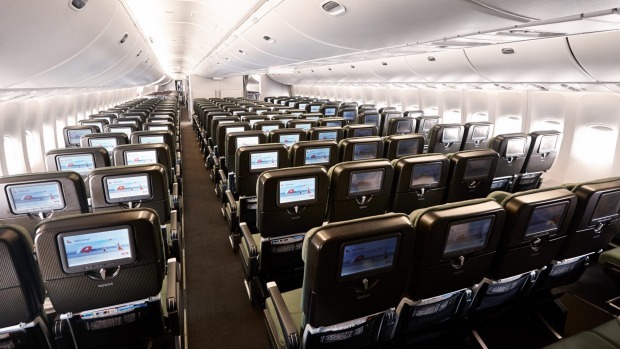 QANTAS code share in Latin America with LATAM airlines. The flight itself takes around 12 hours and if winds are right it can be done in as little as 11 hours, making South America closer than you think. The flight itself departs Sydney at a civilised 12:30pm arriving the same day in Santiago at 11am. Yes, you arrive before you leave – thanks to crossing the international date line. Now, this might be a bit odd but where you sit on the aircraft can make a difference in this flight. 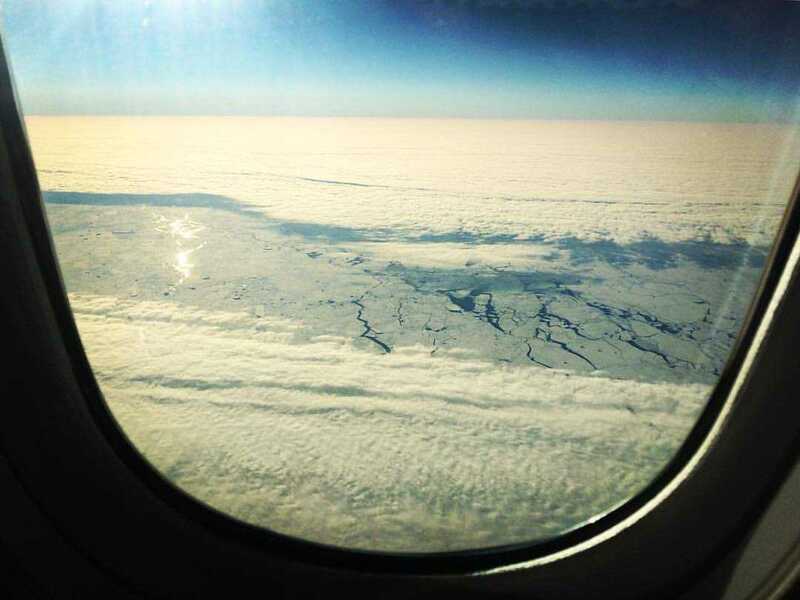 Sure, there is a lot of water to cross but the southern route the flight often takes can give you some spectacular views of the ice around Antarctica, or if lucky enough you can actually fly over the continent itself. To get the best views we recommend sitting on the right hand side of the aircraft (Window seat K). In addition to this as the aircraft heads north up the Chilean coast you will enjoy a couple of hours of observing the majestic snow capped mountains. On the left hand side, ocean! Conversely, on the way back to Sydney sit on the left hand side to check out the Andes and with a bit of luck, Antarctica. The flight back to Sydney often flies quite far South and over the continent itself. Also known as ‘ The great circle route ‘ views from the window on the way home are well worth it, so have your camera ready. The flight home departs Santiago at a civilised 1:30pm and arrives the next day in Sydney at 5:30pm. This timing makes it a much better option than flying back home with LATAM via Auckland, and certainly a lot better with the jet lag. Total flight time back to Sydney is approximately 13.5 hours. 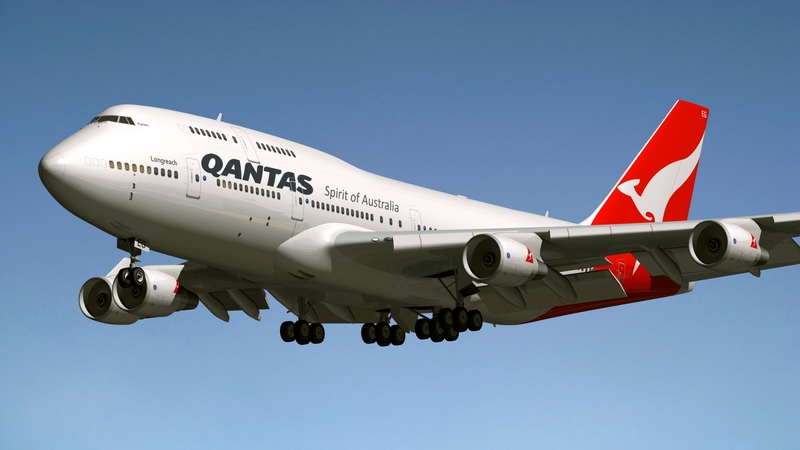 QANTAS are currently flying their workhorse Boeing 747-400 series on the route, which is configured in a three class configuration: Business, Premium Economy and Economy.There is talk in coming years of a switch to the 787 Dreamliner when QANTAS takes delivery of more aircraft in 2019. Along with this introduction is also the rumours of new routes such as Sydney to Rio, Sydney to Lima and others. Note: To book your seats in advance please ask your travel agent to request them or book them yourself on www.qantas.com.au. Chimu Adventures has access to exclusive wholesale fares with QANTAS to South America, so if you have any questions contact our friendly team.